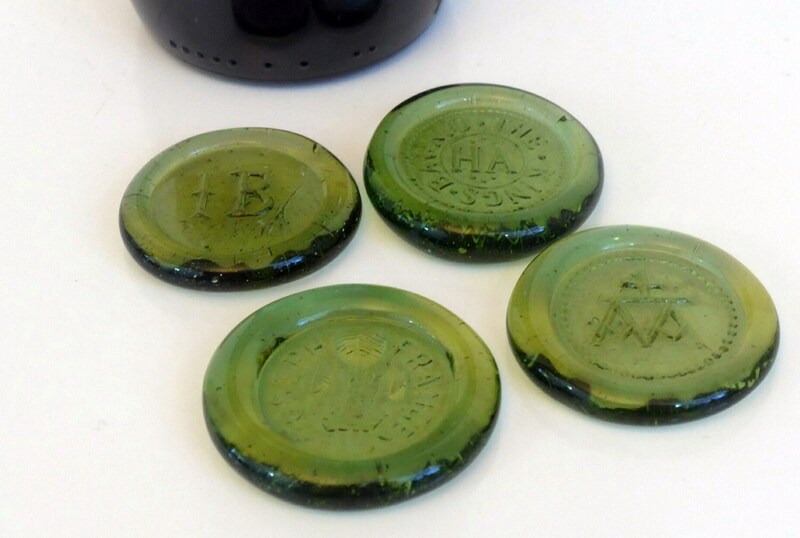 Four green glass bottle seals that are most likely souvenirs of England. 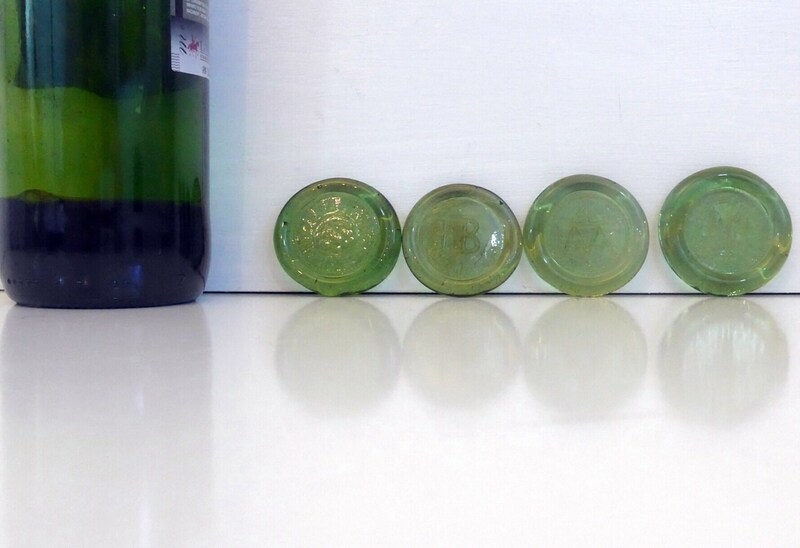 The process of attaching glass wine seals was done in England starting in the mid-1600s. The glass seals were attached ot the bottle after the wine bottle was made but not completely cooled. JOSEPH FRANCES - from a Joseph Frances Wine Bottle. 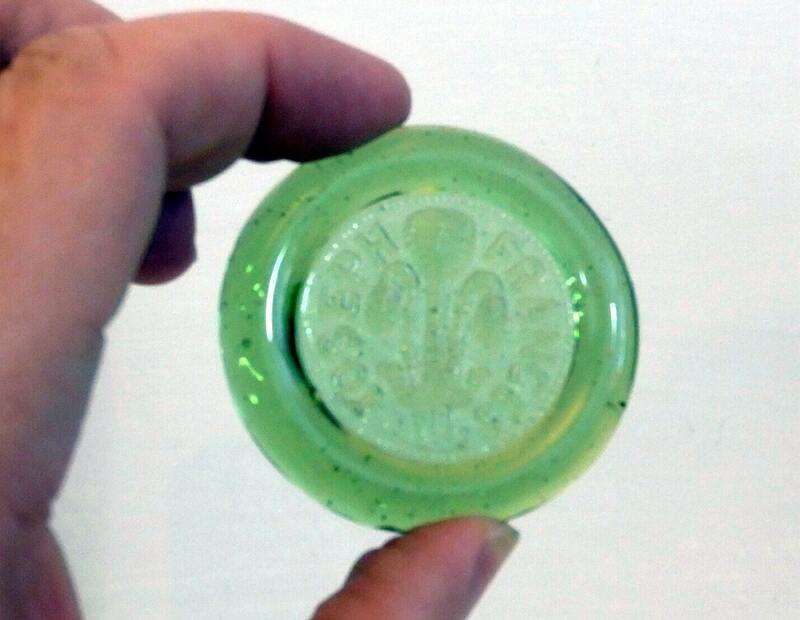 This is the only wine bottle found at Jamestown that was still completely sealed and originally dated from 1650-1660. Measurements - The seals vary in measurement and thickness as they are hand blown and range from a diameter of about 1 5/8" to 1 7/8" across. They also vary slightly in green color when you look closely. They are in nice vintage condition with no chips. 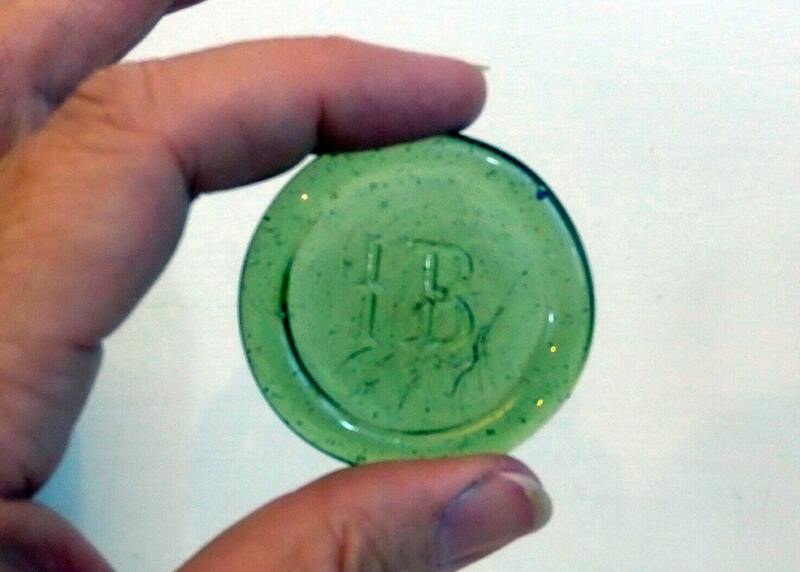 The IB seal has some scratching on the top - see photo closeup #5. 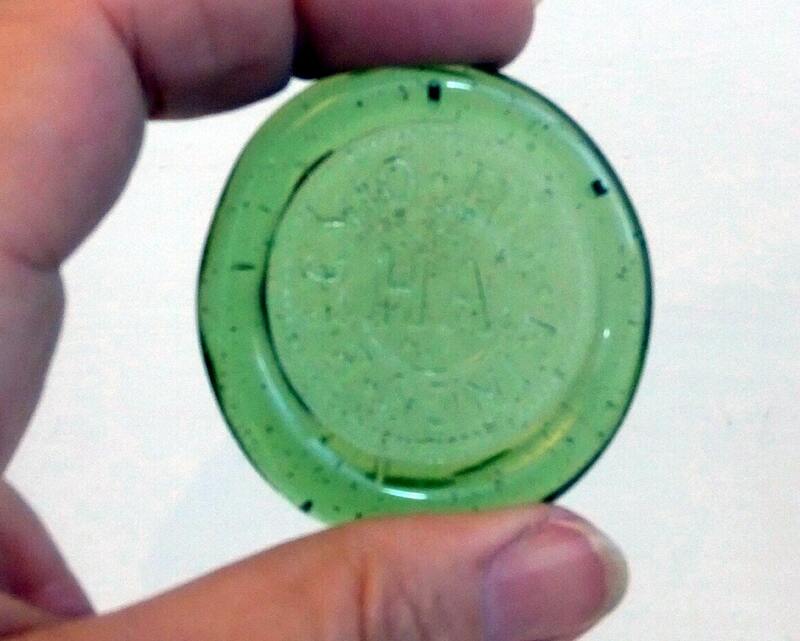 In ages past, wine bottles were marked with a glass seal such as these. A family crest or seal was also known as an armorial and was often used as a sign of ownership when emblazoned on the side of a bottle at the time the bottle was manufactured. The terms on these reproduction seals are interesting. HA for Henry and Anne as for King Henry VIII and Anne Boleyn. "The King's Bagnio" means "The King's Whore" and of course, was an insult to Anne because most people at the time still believed Henry to be legally married to his first wife, Catharine of Aragon.